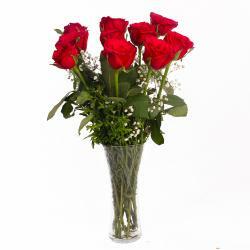 Product Consist : Ten Red Roses with green fillers in Glass Vase. 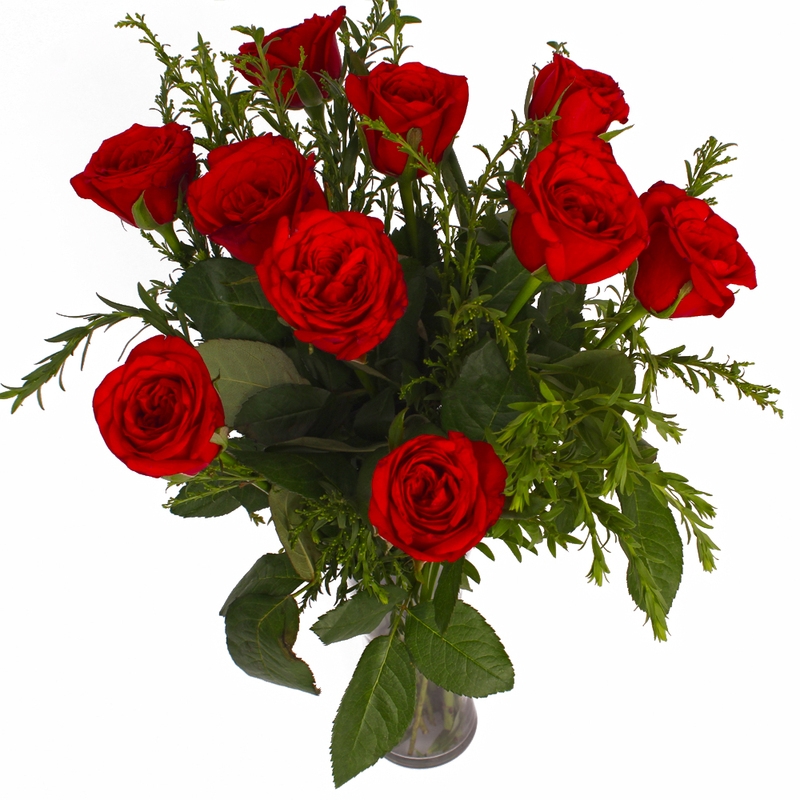 Express the thoughts of your togetherness with these lovely fresh plucked red roses Feel the breeze of love all around with someone special you want to share this moment with. 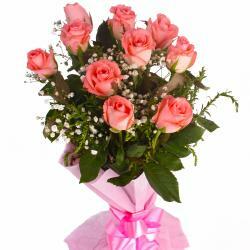 Gift this bouquet of red roses beautifully arranged in a vase tied with a red ribbon bow. 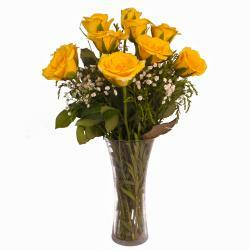 Feel this exotic breeze around you and make your loved one feel extremely special with this bouquet. 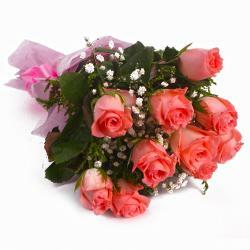 Express your feeling with these lovely flowers on various occasions like Birthday, Anniversary, Congratulations, Karwa Chauth, Republic Day, Valentines Day, Missing You and many more. 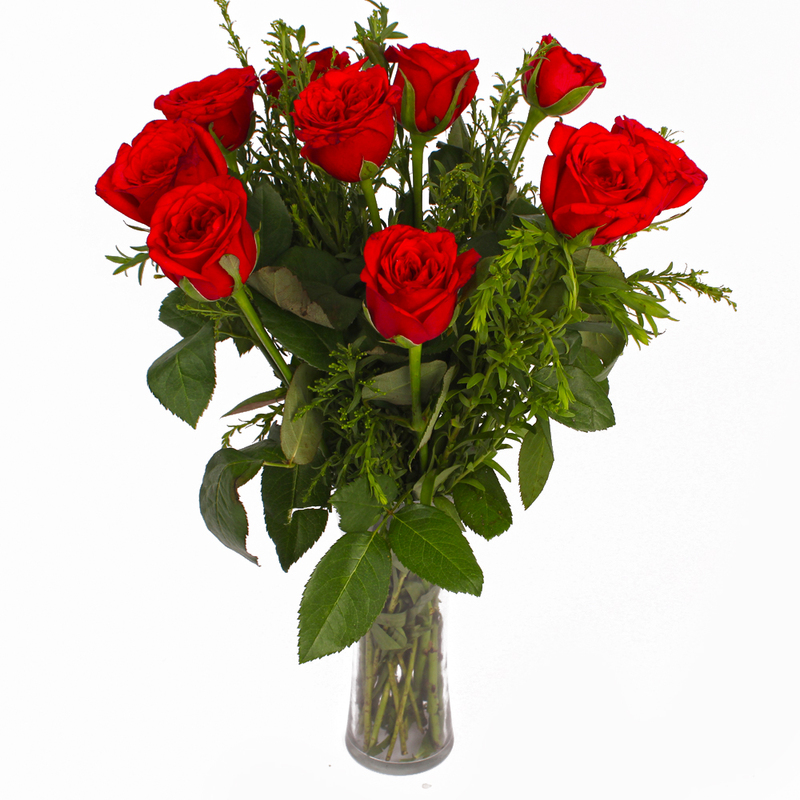 Product Contains : 10 Red Roses with green fillers in Glass Vase.